Commerical canopies are a great addition to any type of commercial property, and can not only be more cost-effective than garages, but they also automatically increase the value of your property. Aluminum carports can help protect vehicles from harsh elements, so it’s essential that you choose a carport that’s built to withstand these elements. 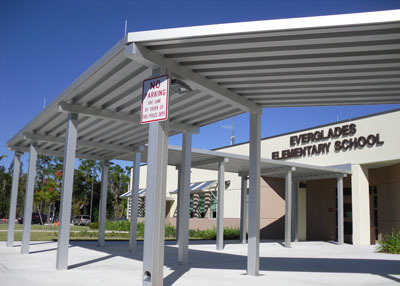 Commerical canopies are meant to last, require a minimum amount of maintenance and are created from high-grade aluminum to protect your car, boat, or motorcycle. Commercial businesses can benefit from carports by offering a covered area for those who would like to protect and maintain their vehicle. 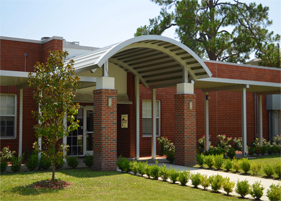 Apartment complexes can offer carport services for a monthly fee while also improving the value of the property! 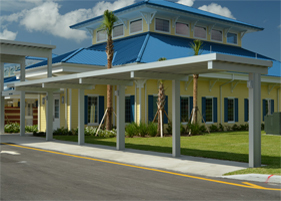 You would more than likely get one hundred percent return on investment if your business or apartment complex had a carport fee to offer employees or residents. If you’re investing in a commercial property, carports can be a much more beneficial and cost-effective option compared to garages. They are meant to withstand snow, rain and UV rays, and they are also mildew resistant and can be finished with a color that matches your business! A carport structure can be built within a matter of days, and compared to building garages, it is a fraction of time and money spent to protect your vehicle. 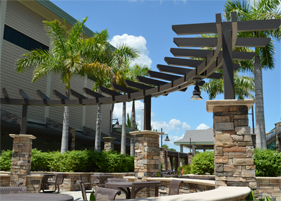 At Perfection Architectural Systems, we provide a variety of long-term aluminum solutions for your commercial business, including commercial canopies carports, metal awnings, sunshades, suspended canopies, pavilions and more. 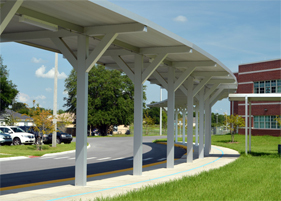 Call us today at 800-238-7207 to learn more about our canopy solutions and how we can get started on your next project.